Welcome to Digital Marketing Content OnDemand powered by PartnerOn We are very excited to offer you a new marketing program to support and accelerate your business. 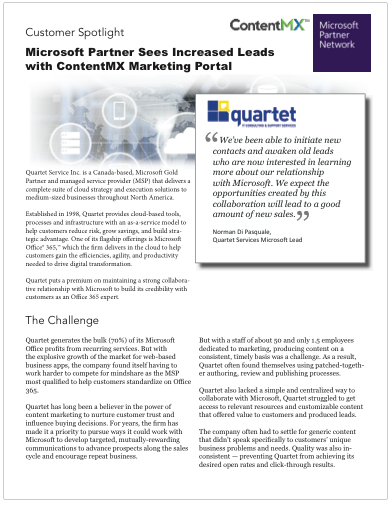 Microsoft Australia has built this program in collaboration with ContentMX, a team that has worked closely with partners in the channel for almost 20 years. Read to sign up? Sign up with Microsoft Australia using your MPN number or choose one of our partners. If you would like an MPN number, you can get one here. Choose a username below and we will email you a temporary password. Then, join one of our weekly webinars to learn how to make the most of your new PartnerOn with Microsoft account.